Video was taken on May 11th, 2015—five days before the Overpass was closed to car traffic (on May 16th, 2015) and subsequently demolished. 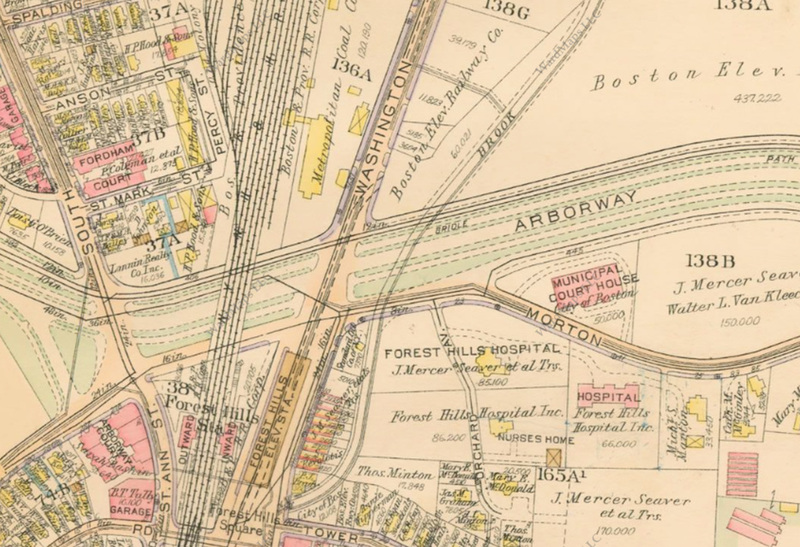 The Casey Overpass was an elevated route for the Arborway through Boston's Jamaica Plain neighborhood, right by the Forest Hills MBTA station. 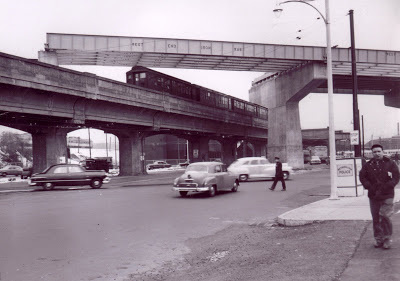 The Overpass was constructed in 1955 and was built especially tall in order to pass over the Washington Street Elevated, an elevated structure that once carried the MBTA Orange Line rapid transit. Orange Line service was moved from the El to the new, lower Southwest Corridor right-of-way in 1987, and the El was subsequently demolished. The Southwest Corridor ran below the Overpass in a tunnel. 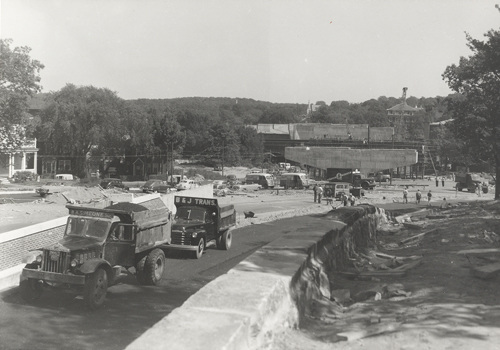 Casey Overpass under construction in the early 1950s. View of the under-construction Casey Overpass passing over the Washington Street Elevated.